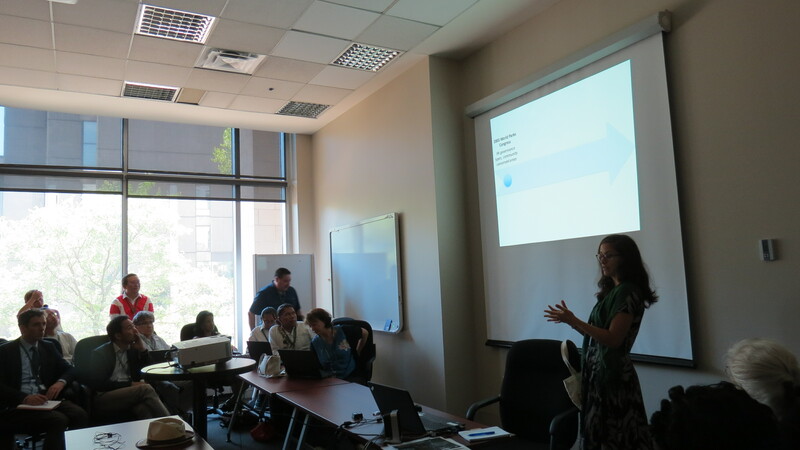 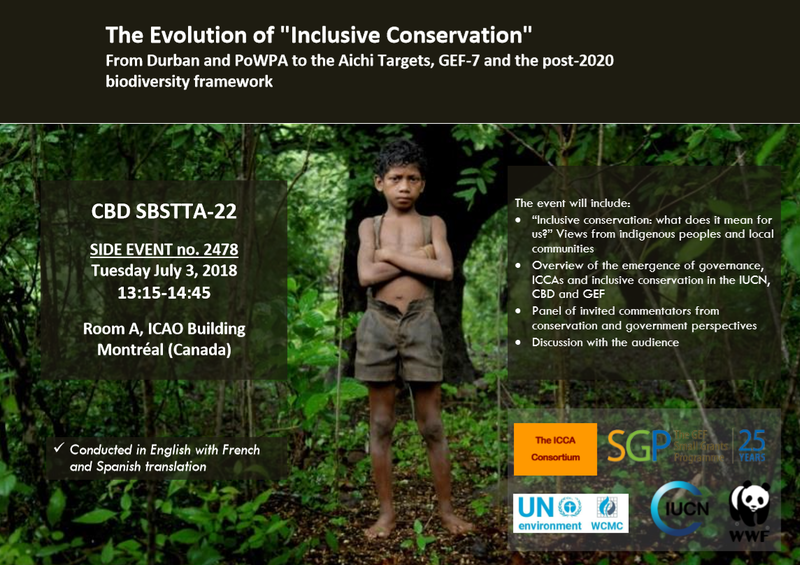 The ICCA Consortium participates in the following meetings of the United Nations Convention on Biological Diversity (CBD) in Montreal, Canada: the 22nd meeting of the Subsidiary Body on Scientific, Technical and Technological Advice (SBSTTA-22) from 2-7 July 2018; and the 2nd meeting of the Subsidiary Body on Implementation (SBI-2) from 9-13 July 2018. 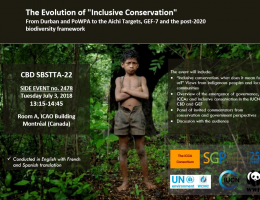 The ICCA Consortium organised a side event on “The Evolution of “‘Inclusive Conservation’: From Durban and PoWPA to the Aichi Targets, GEF-7 and the post-2020 biodiversity framework”, featuring Indigenous peoples, local communities and grassroots organisations from nine countries sharing their perspectives on the meaning of “inclusive conservation“, as well as commentators from IUCN Global Protected Areas Programme, IUCN World Commission on Protected Areas, GEF-SGP, UNEP-WCMC, WWF-International and the ASEAN Centre for Biodiversity. 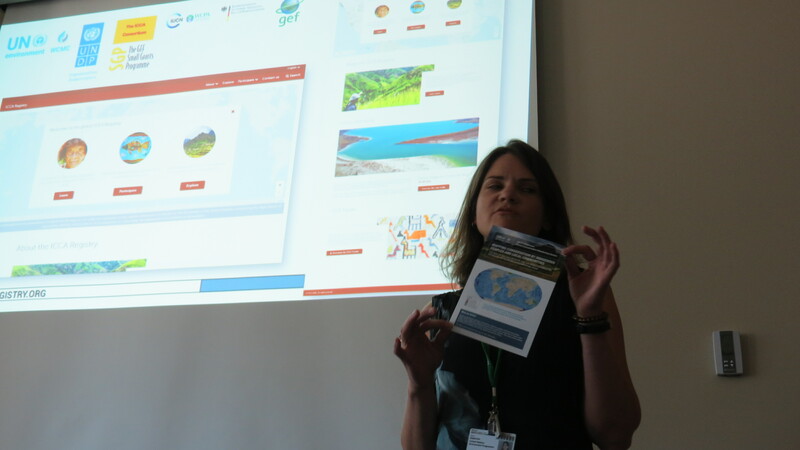 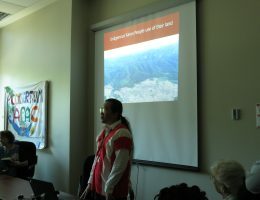 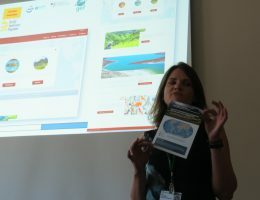 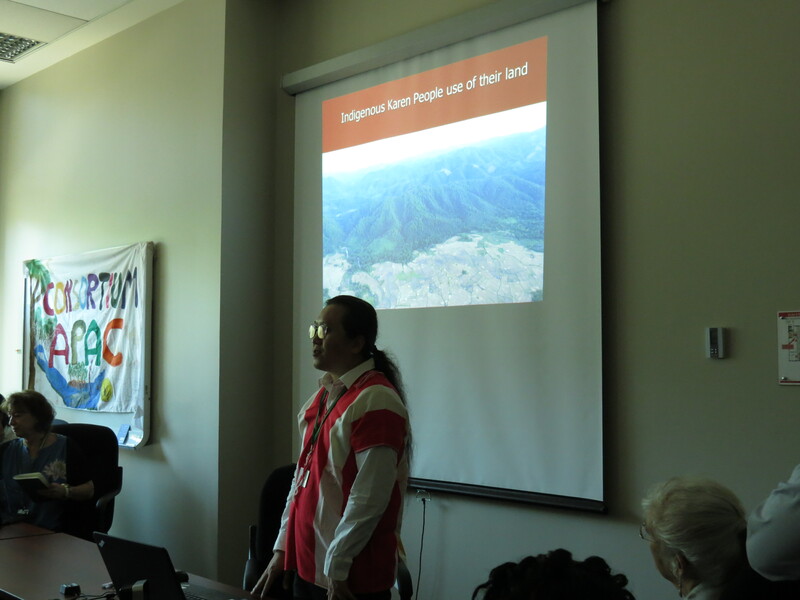 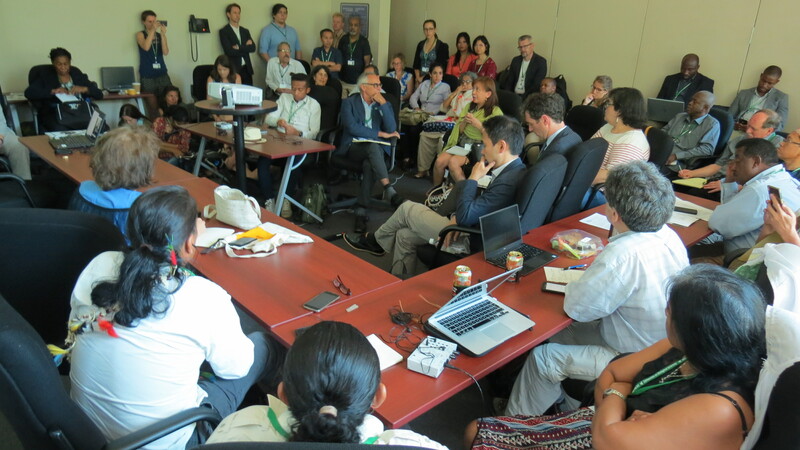 The side event highlighted the many diverse contributions of territories and areas conserved by Indigenous peoples and local communities (abbreviated as “ICCAs — territories of life”) to biological and cultural diversity, the need to reform “fortress conservation” and the importance of ensuring that GEF’s seventh replenishment programme on inclusive conservation is defined and guided by Indigenous peoples and local communities themselves. 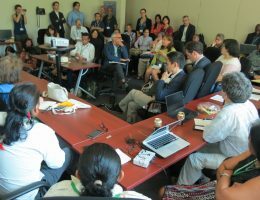 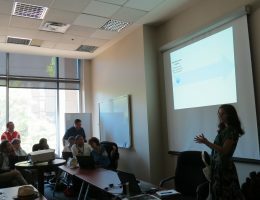 During the SBSTTA event, the ICCA Consortium composed several articles published in the ECO journal of the CBD Alliance. 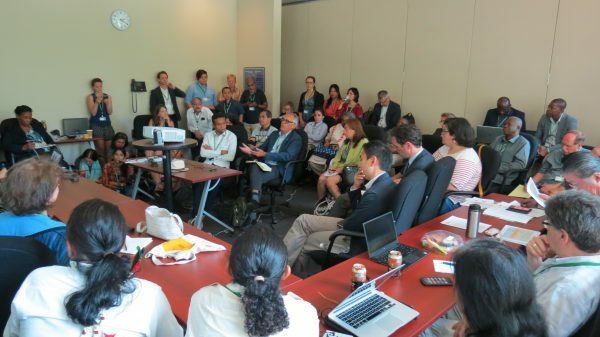 “OECMs: A Free Lunch?” – Article related to Item 7, it addresses the need for OECMS guidelines to: 1) Recognize and support the legitimate OECM governance authority. 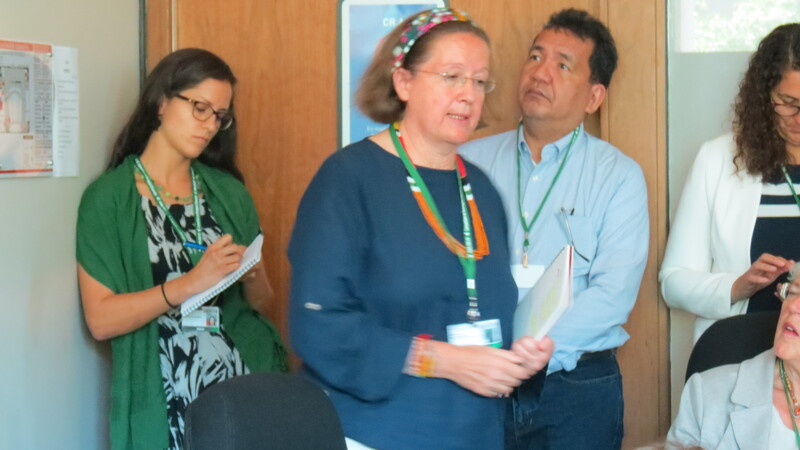 2) Prevent future threats. 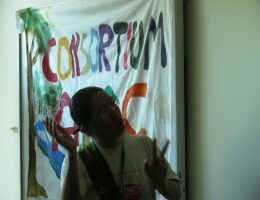 Please take the time to read this article here. 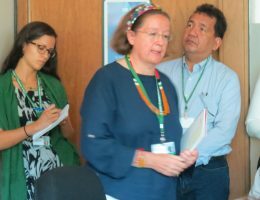 “EBSA Traditional Knowledge Training Manual Provides Important Guidance to Parties”, written by Vivienne Solis Rivera, related to Item 8 Please take the time to read it here. 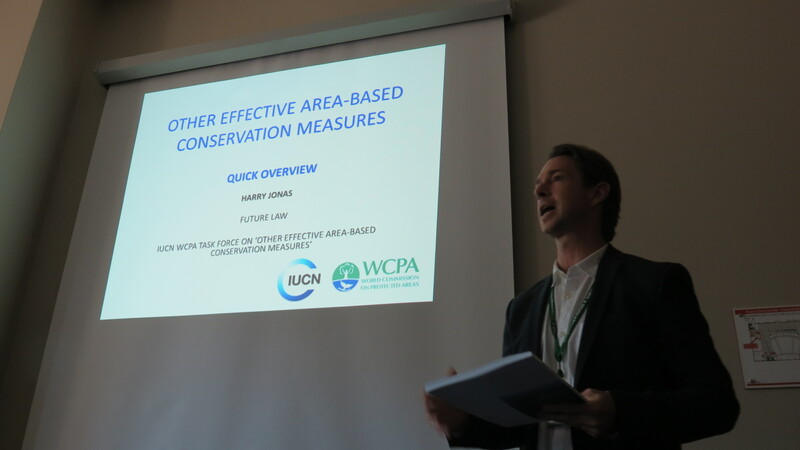 “Parties Adopt landmark Recommendation on Protected Areas and OECMS – now the hard work begins”. 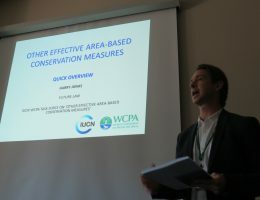 Written by Holly Jonas, on behalf of the ICCA Consortium – Read it here. 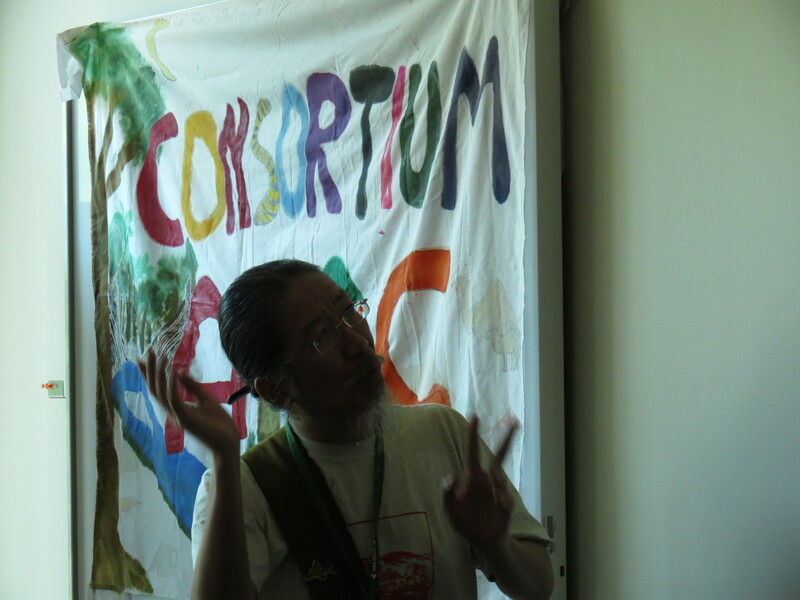 The SBI-2 agenda and documents can be found here.